This is a sponsored post for AVEENO®. I'm a 2014 AVEENO® Ambassador. All opinions are 100% my own. 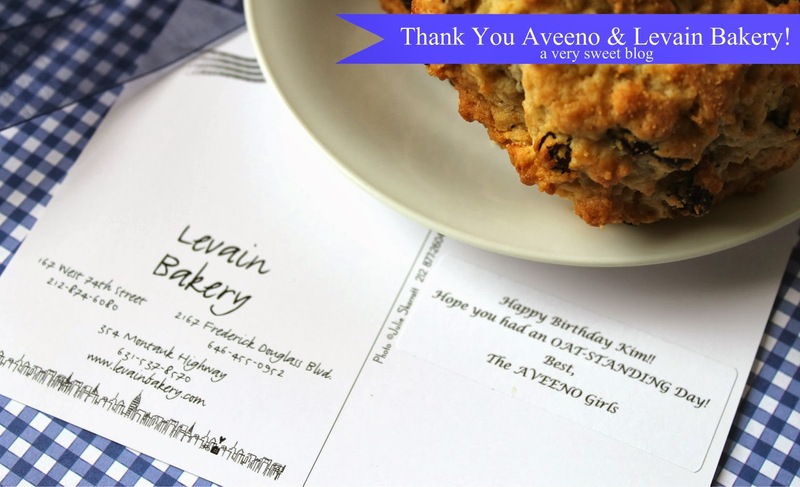 I received a birthday gift from AVEENO® and Levain Bakery in New York City. Many of you know, I was asked by AVEENO to be an AVEENO Ambassador for 2014. I hosted an AVEENO Oat-standing Giveaway in January and promised to take you guys on my year long adventure. Well, buckle your seat-belts, because here we go! It's going to be FUN! The cookies are HUGE and they melt like butter in your mouth. They're moist, delicious, have just the right amount of crunch & chewy-iness. 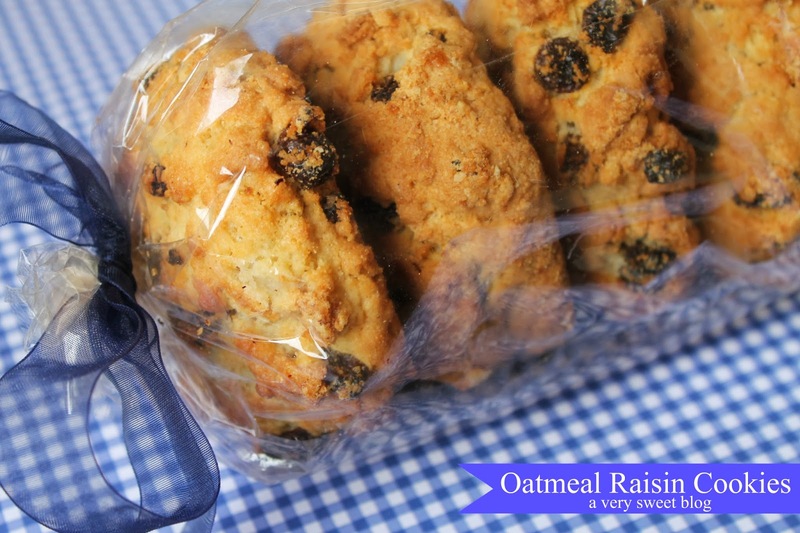 They also have a rich texture and big plump raisins. 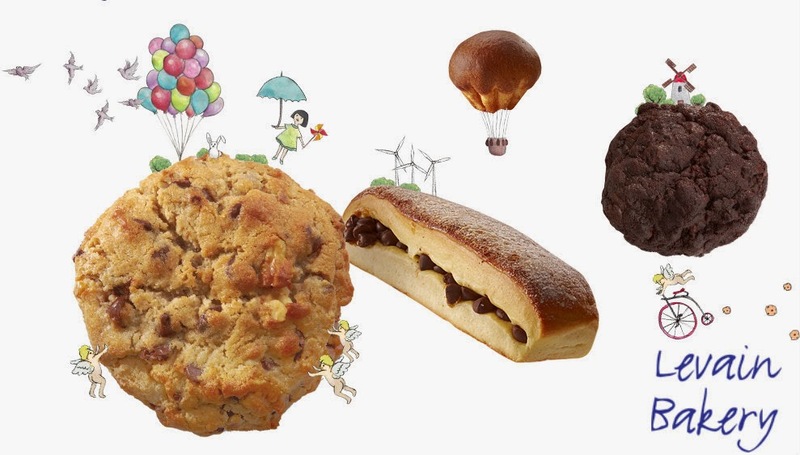 I looked at Levain's website and they sell cookies, rolls, scones, muffins, brioche, tarts, cake and more. They have 3 locations in New York, so if you're there give them a try. I was very impressed with their cookies. They also have an online store. What's in the second box from AVEENO? I'll divulge the sweet contents to you next week! It's truly awesome! 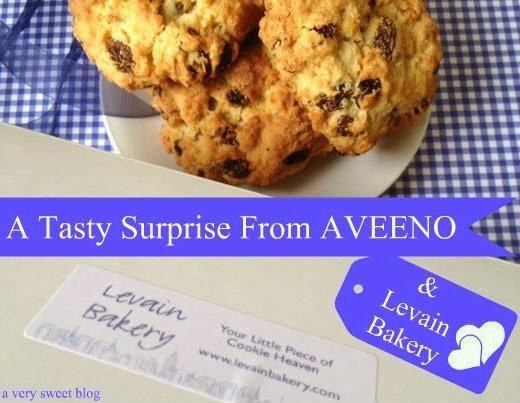 ;) Thank You AVEENO and Levain Bakery! 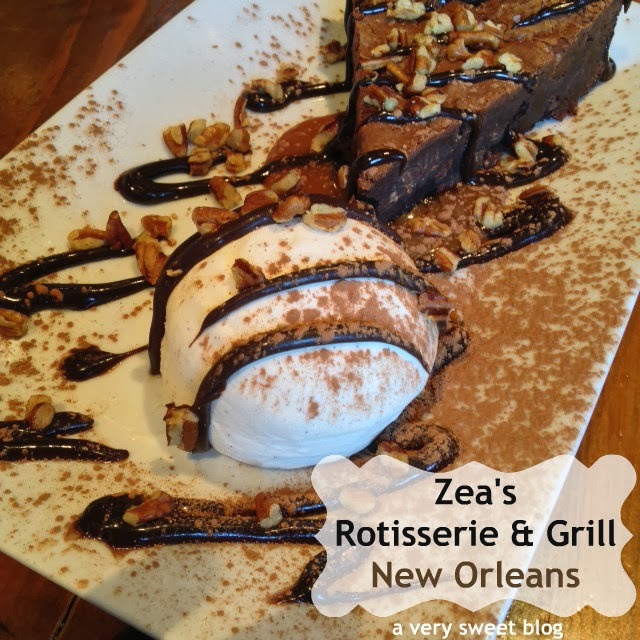 I went to Zea Rotisserie & Grill on St. Charles Avenue in New Orleans for lunch. Their food was SO good, I had to wobble out of there. Ok, not really, but I mimicked wobbling in the gif below. HaHaHa Are you drooling over my dessert picture? That's their chocolate brownie. It's loaded with vanilla ice cream, chocolate, caramel sauce and pecans. 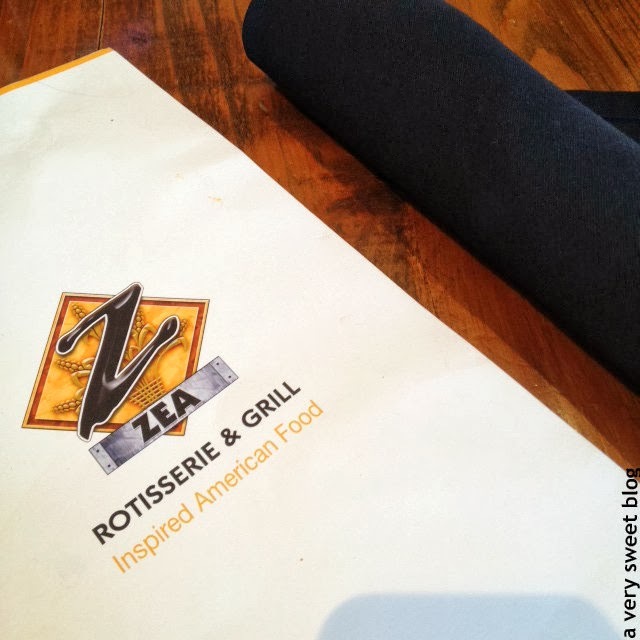 Zea restaurants are located throughout the state of Louisiana. They're known for their rotisserie. It's a restaurant you go to if you want a really good home cooked meal that's tasty. Zea's keeps everything classy. You must make reservations for lunch & dinner. If you don't feel like dining, you can place an order over the phone and pick up your order. Everything is convenient. 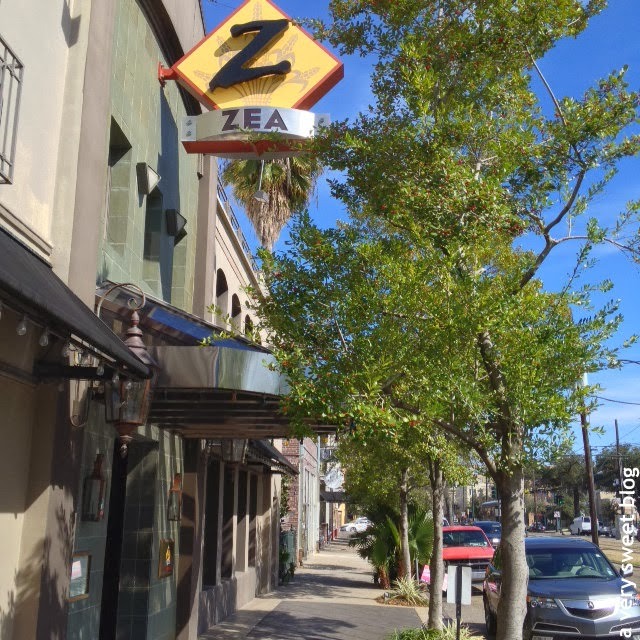 The Zea's for New Orleans is located on St. Charles Avenue. You don't have to worry about parking, because there's designated gated parking behind the restaurant. 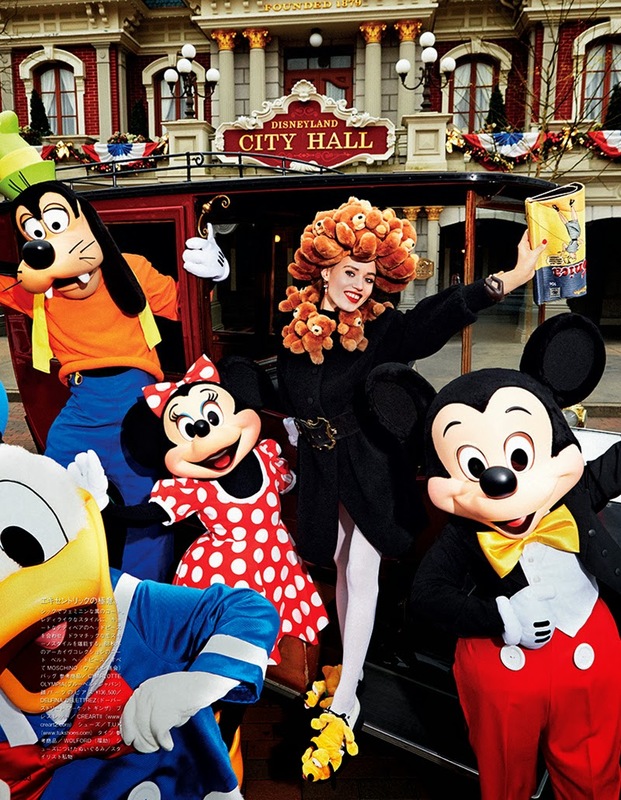 They also offer valet parking, which makes things convenient in the evenings. 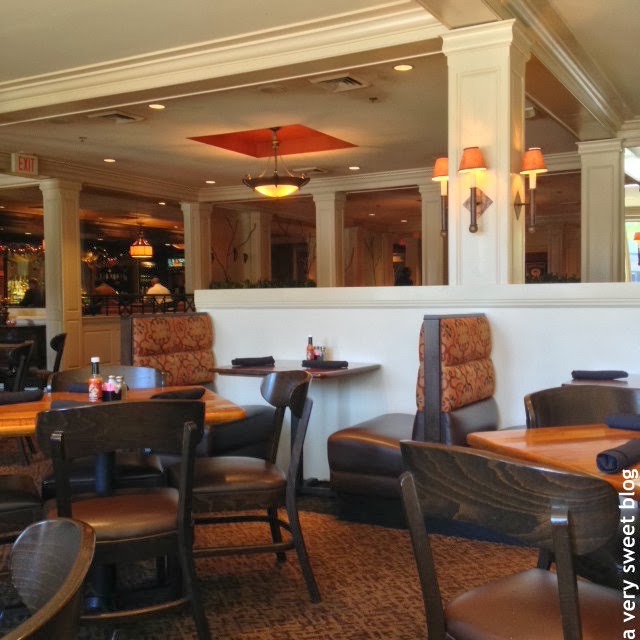 Inside are wood tables, chairs and booths. It has a very warm feeling to it. You feel comfy & cozy while you're there. The staff is very friendly. They greeted and sat us right away. The attire for this restaurant is business & nice casual. Let's start with drinks! 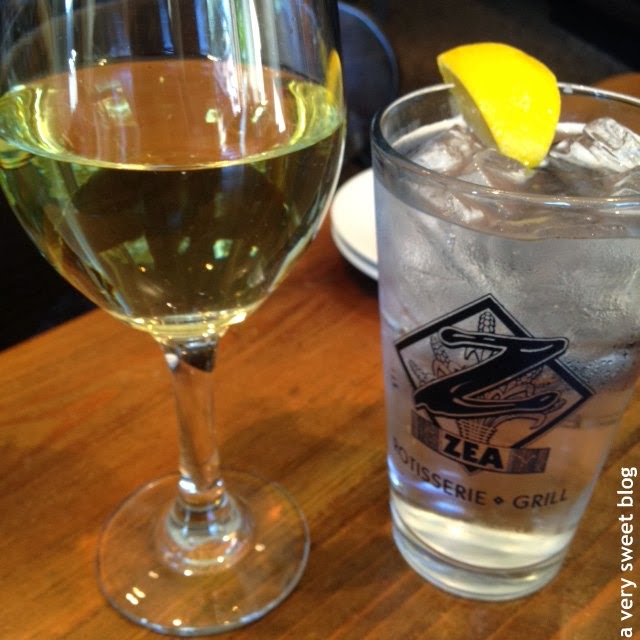 Zea's has an assortment of white & red wine, champagne, specialty and cocktail drinks. 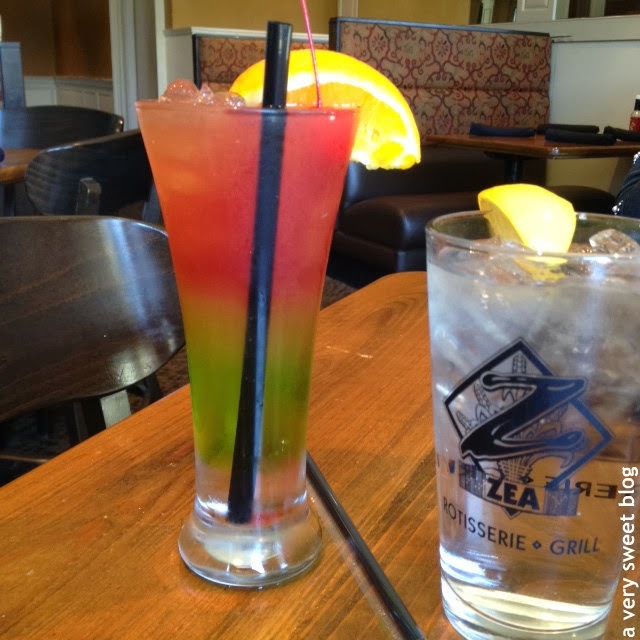 The colorful drink you see below is The Sunset Slowdown. It is pineapple, Midori, peach and cranberry. It was very delightful :). It was very refreshing. Surprisingly, it's not a sweet drink. The other below, is a glass of Moscato. Appetizers! 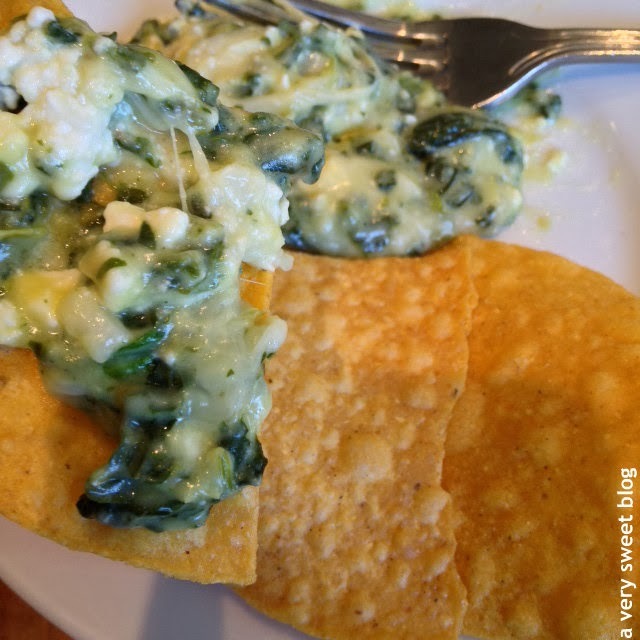 We ordered the spinach dip sprinkled with feta. 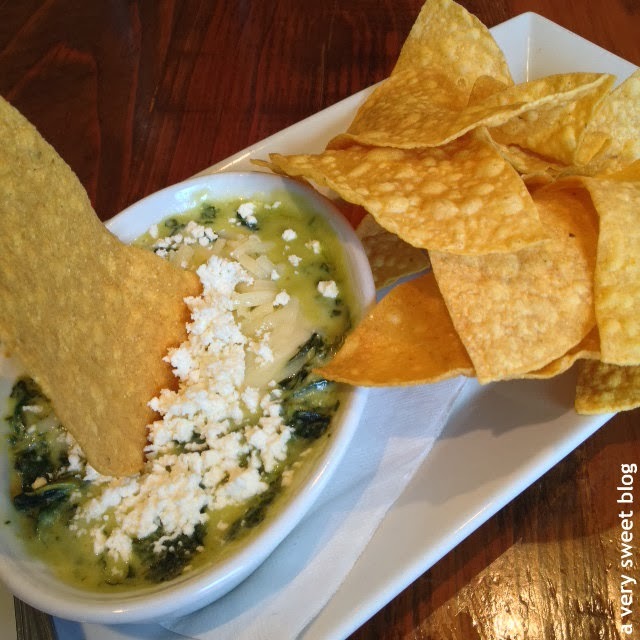 It was warm, cheesy & delicious. Again, they're known for their bbq chicken and ribs. I didn't order them this time. I'll go back around the 4th of July to show you that yumminess. 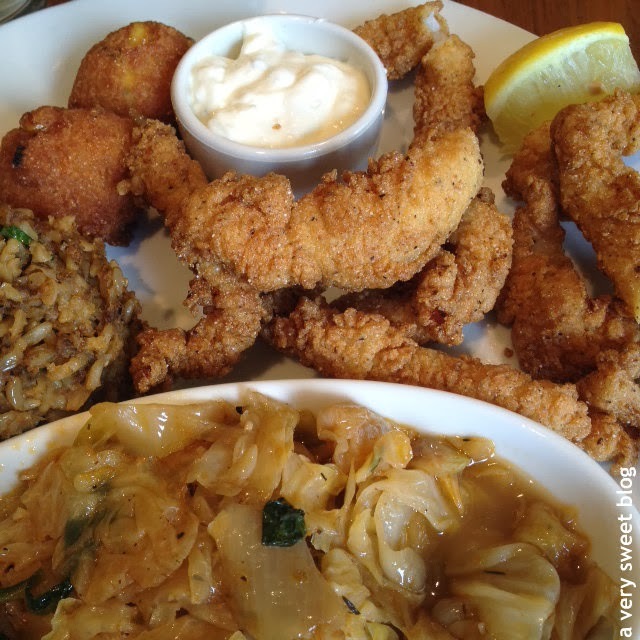 I wanted to try their southern buttermilk battered fried catfish and hush puppies. Everything was so good. I selected their braised cabbage and dirty rice to go with it. Delightful! For dessert, I had their chocolate brownie. Oh yes, I already told you about it above! Well here's a gif of it. It's a slice of heaven. LOL Had to have coffee with it! I have absolutely no complaints about Zea's. This is my second time going and everything remains constant and consistent. The food is excellent. They give you a lot of it (very generous portions). The staff is friendly. The atmosphere is divine and the cost is gentle to your wallet. I encourage anyone visiting the state of Louisiana to locate one and GEAUX (GO). Your tummy will thank you! There's a carnival going on inside my head. There's nothing wrong with colorful & festive thinking right? Cotton candy (candy floss), carousel music, and double-dipped ice cream cones fill my thoughts. Just like everyone else, I'm looking forward to Spring. I like Spring better than Summer. It's such a pretty time of year. 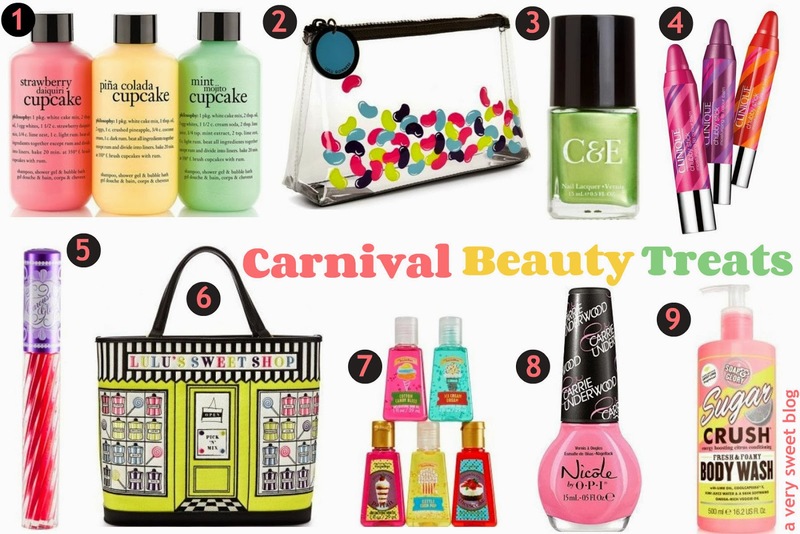 I put together some beauty treats that reflect my thoughts. Divulge what's filling your thoughts. The WINNER of the Feeling Smitten Giveaway is Sandra Meaders. CONGRATULATIONS Sandra. I've sent you an email. You have 24 hrs to respond or a new winner will be chosen. 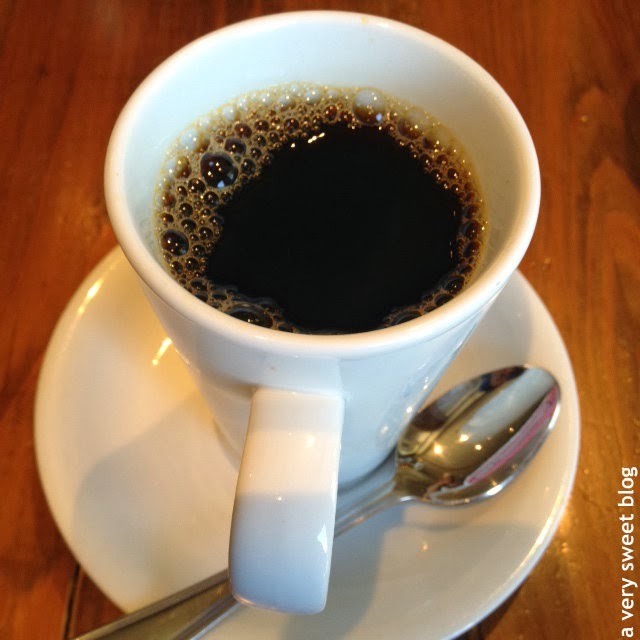 If you're not British, you may learn something new today (I know I did)! If you're British, let me know your thoughts on the products below in my comments section :)! Shopping Carts! Scanners! Moving (Runway) Conveyor Belts and Que Lines! 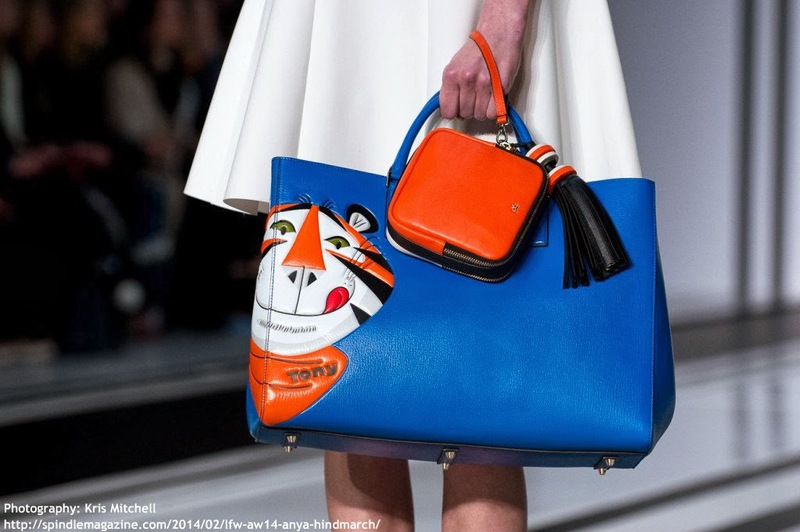 British Handbag Designer Anya Hindmarch never ceases to amaze me with her creativity & imagination. 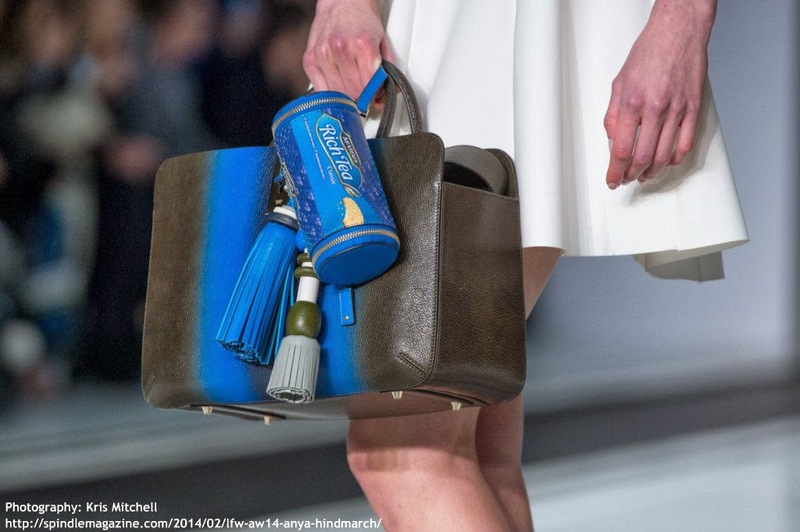 She brings everyday things to her designs and runway shows! 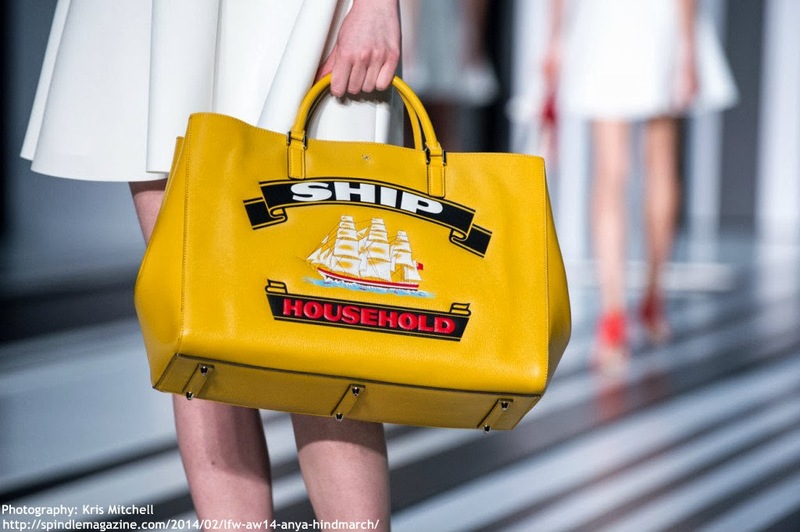 Her AW2014 runway show made one feel like they were at a real store. I've always wanted to ride a conveyor belt... wheeeee! >.<. 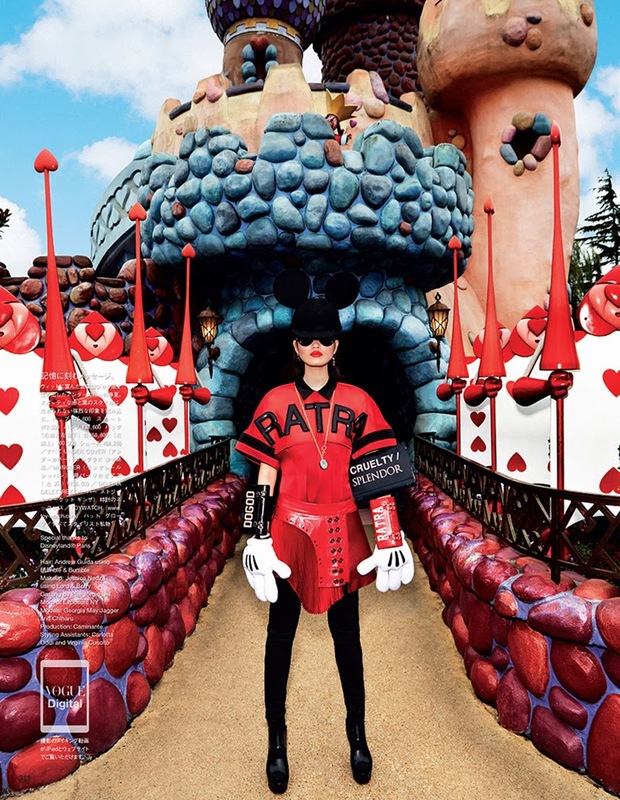 I adored her "Pomp and Pleasure" Collection. It was very Victorian and Marie Antoinette! 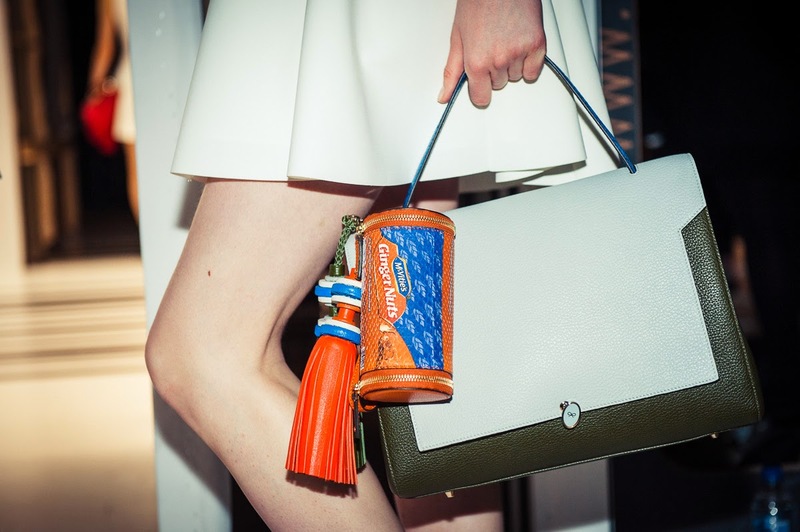 I was a little disappointed in her SS14 planetary "Out of this World" collection & show. Maybe I'm a little biased, because the solar system has never excited me (except for maybe Star Wars...well Han Solo. LOL). 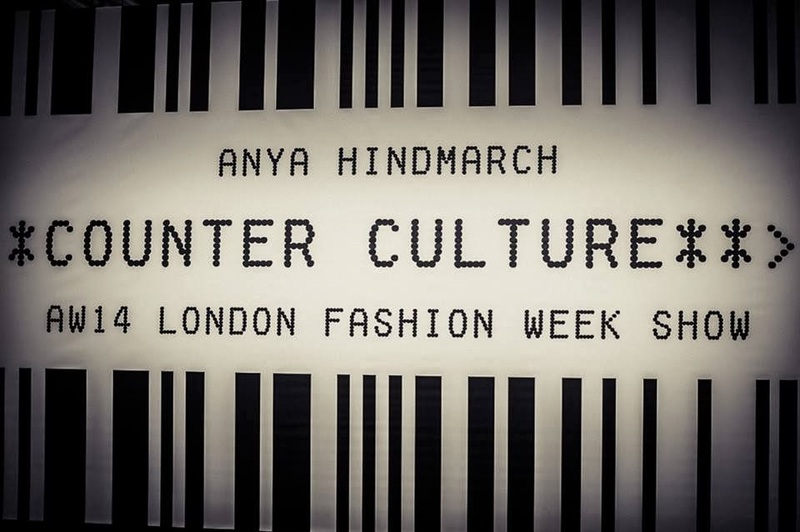 However, I'm now back in her graces with her new AW2014 "Counter Culture Collection". Why? It's a foodie, happy, smiley face, household theme. This collection is not for everybody! Some people don't like fun mixed with fashion. Some people have said, Anya sold her soul with this collection. Not moi! I think she just likes to have FUN. 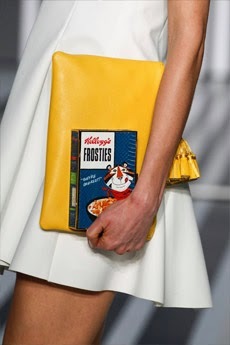 I would happily walk down the street with that Tony The Tiger Tote and Frosties Clutch (in the US we call them Frosted Flakes) and I'm cuckoo over that little monkey Coco Pops clutch. She also did cleaning supplies and popular biscuits. I had to look up the names to those, because they're British brands and I'm not familiar with them! But HEY, I learned something new! Hope you do too! 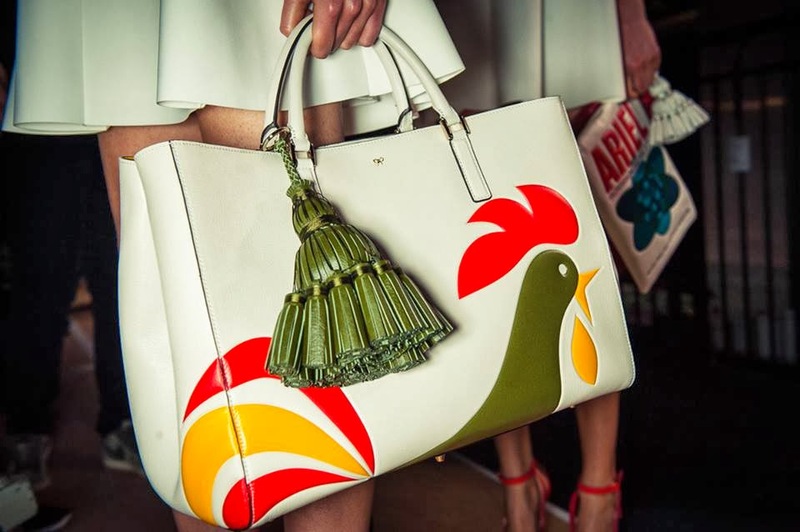 NOTE: I don't like all foodie designs! 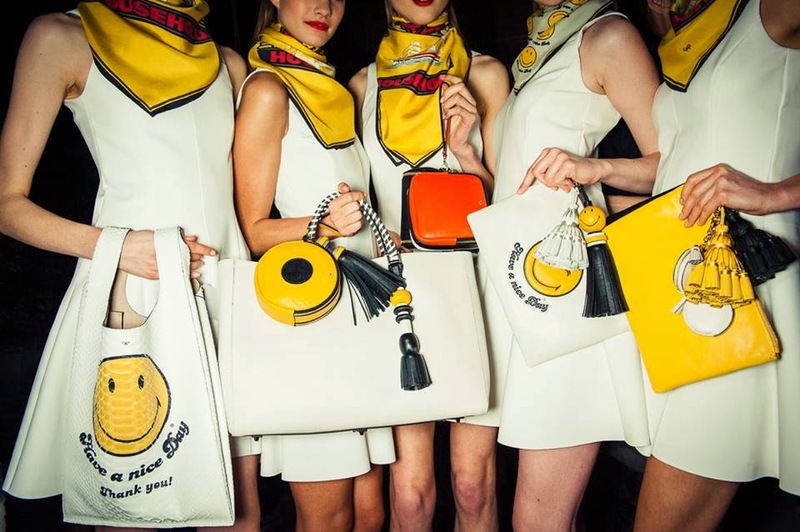 I didn't like the McDonald's themed Moschino collection. Get Ready To Learn Something Today! Here We Go! Ready? Tony The Tiger! Everybody knows him, right? He's the mascot for Kelloggs Frosted Flakes Cereal. 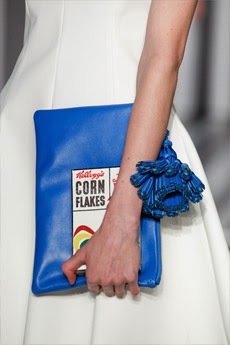 In the United States and Canada, we call them Frosted Flakes. In the UK, Commonwealth, European, Middle East and Spain they're called Frosties. They're called Corn Frosty in Japan and Corn Frost in Korea. In the United States we call these (below) Cocoa Krispies. 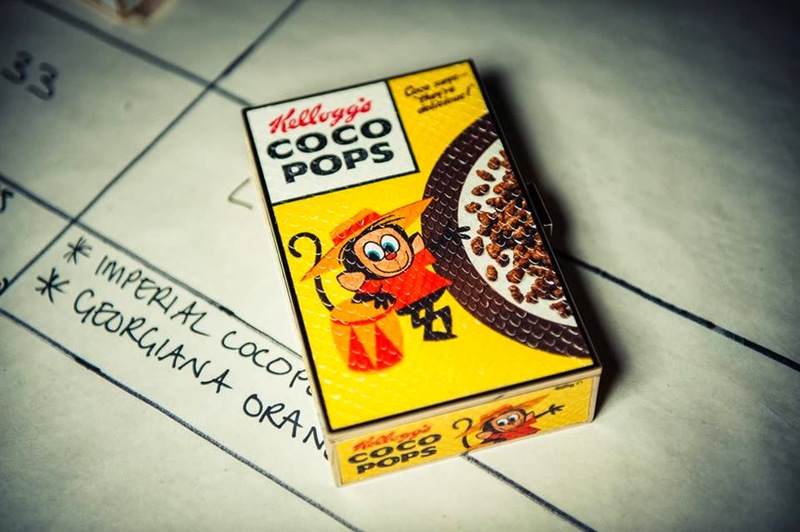 They're called Choco Krispis in Mexico, The Dominican Republic, El Salvador, Costa Rica, Honduras, Guatemala, Panama, Colombia, Brazil, Ecuador, Peru, Bolivia, Brazil, Chile, Paraguay, Uruguay and Argentina. 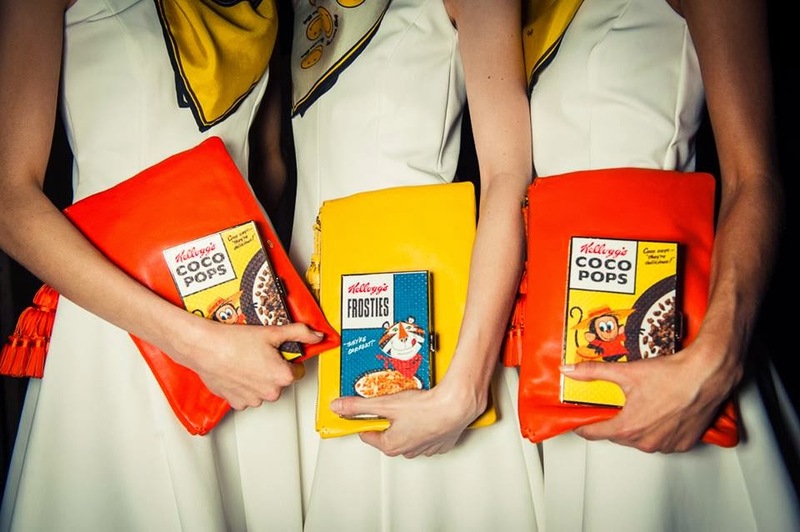 Choco Krispies in Portugal, Spain, Germany, Austria and Switzerland. 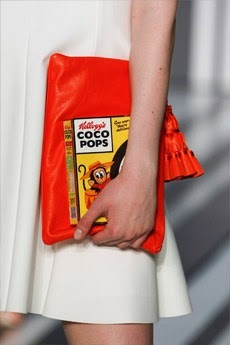 Coco Pops in the United Kingdom, Denmark, Nigeria, Bulgaria, Ghana, Malta, New Zealand, Ireland, Finland, Italy, Greece, Sweden, Israel, Belgium, the Netherlands, South Africa, Kenya, Uganda, Botswana, Hong Kong, Lebanon, Australia and Republic of Korea. Ship Household. This is only one I couldn't find. Can someone tell me what it is? I think it's matches. 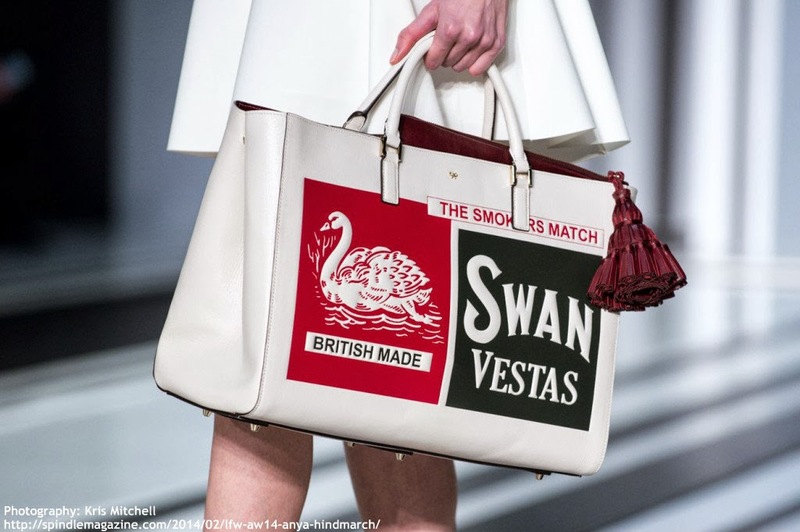 Swan Vesta (here and here) is a popular brand of "strike-anywhere" matches sold in the UK. 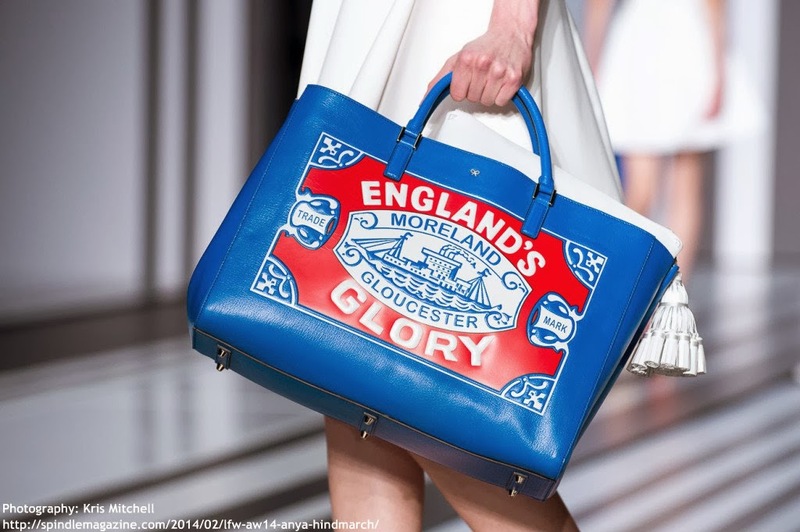 England's Glory is a brand of matches available in the United Kingdom. 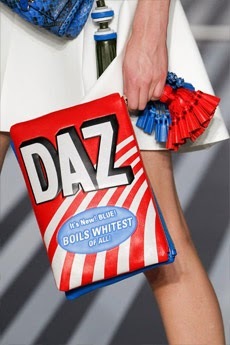 DAZ is a popular laundry detergent sold in the United Kingdom and Ireland (here and here). 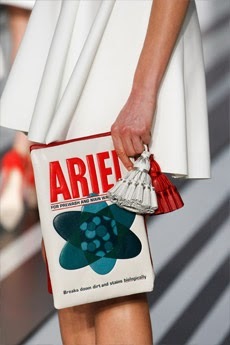 Ariel is a stain remover and laundry detergent. 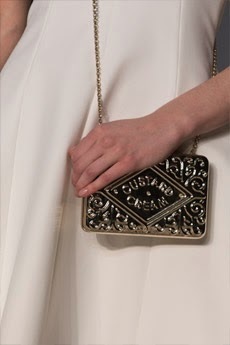 Custard Cream (is a popular biscuit (in the US we call them cookies) in the British Isles. 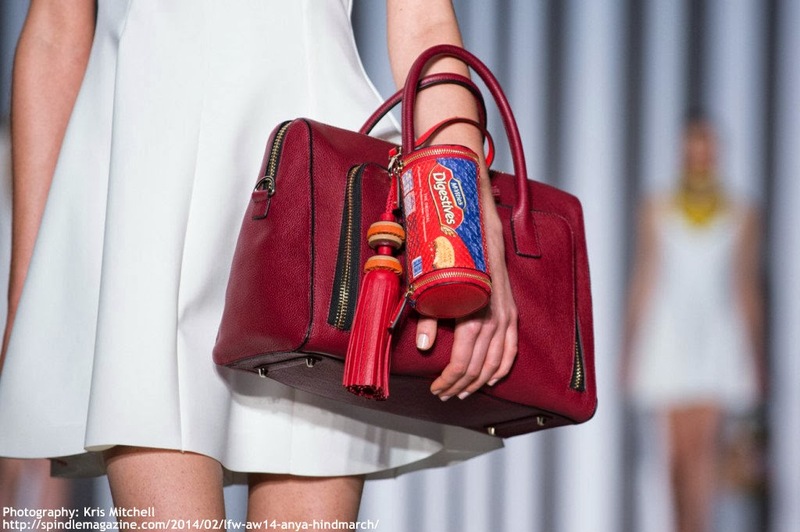 Digestives Biscuits are a semi-sweet biscuit that originated in the United Kingdom. Ginger Nuts are like ginger snap cookies (from what I read). They're flavored with powdered ginger and a variety of spices, most commonly cinnamon and nutmeg. 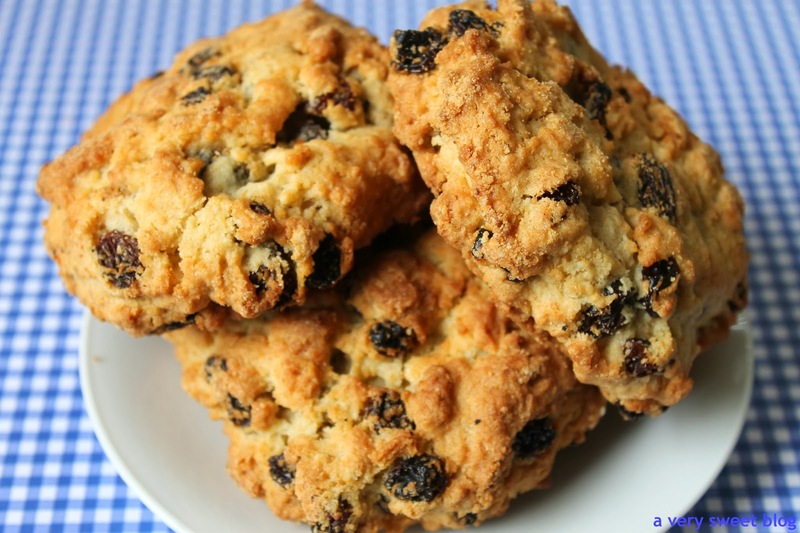 Rich Tea is a sweet biscuit suitable for dunking in tea and coffee. I wasn't aware there were sweet, semi-sweet etc. biscuits. I didn't know (hmmm, just like chocolate). 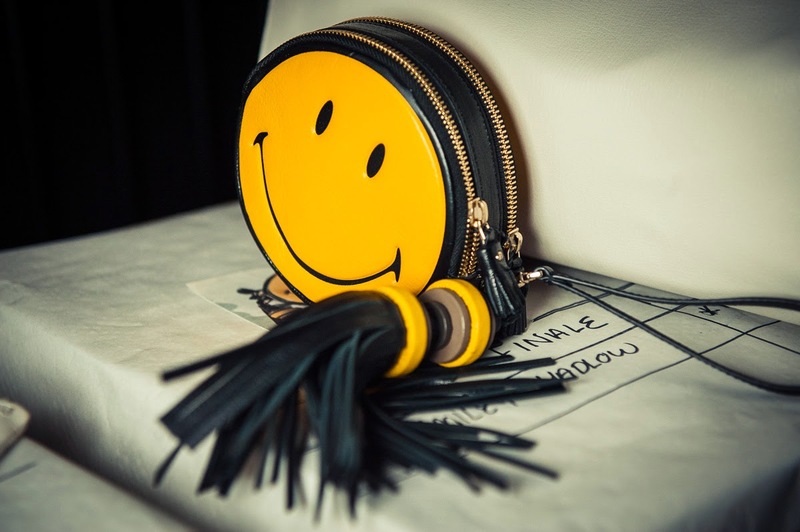 SMILEY...HAPPY...SMILING Face. It's Universal! Read about it's history HERE.